Super friendly place! Staff speak english well. Very comfortable, cozy and clean. Feels like a mom and pop kind of place. We drove a car there so location was fine for us and is in town. No lockers (at least I didnt see any) but the front door is locked at night. Private showers and toilets were nice too. 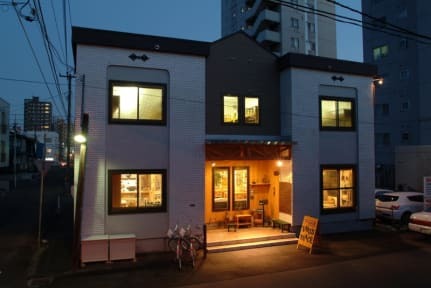 I enjoyed my stay at Backpacker Ino’s Place. The atmosphere is quite subdued and calm. The facility was clean and had all the amenities a backpacker could hope for. Several small restaurants were nearby as well as a convenience store. The subway was only 10 minutes away. 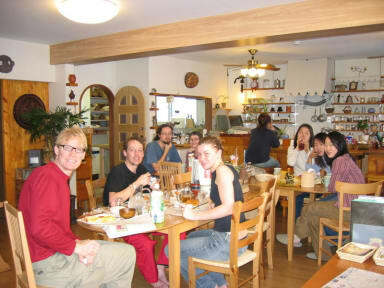 The staff were very helpful, kind, and spoke good English. I would gladly stay at Ino’s Place again. Nice place to stay. Plenty of bathrooms and shower rooms and the common areas were all nice and spacious. It was unseasonably cold when I was there, but the bedroom was warm and comfortable (maybe too warm for most people, but I tend to run cold). My only complaints: The mattress/futon was rather thin and didn’t provide much support. The WiFi was atrociously slow. I heard someone say “the slowest WiFi they had ever encountered in Japan” and I can’t dispute that. My 4G was light years faster. Bed not very comfortable, location a little out of the way but not a far walk from the subway station (unless you have luggage and it's minus double digits). Only stayed here because other accommodations sold out at the time. Nice lounge area, spacious. We were there during winter festival so price a bit high for a dorm room, however the beds were large and everything clean. Got lost finding it as there is a same station on subway and jr rail! TAKE the SUBWAY!!!! Would definitely stay again if u could book 2 days in a row. Ino's place was clean and well located. However, expect to pay a premium to use facilities that are normally free in a hostel. - 100yen an hour for air conditioning -1800yen per person to stay in the hostel communal areas after 10am on checkout day. -1000yen for laundry -1000yen for use of a locker The list goes on... The hostel is also closed before 1500. We arrived early and were made to sit outside for an hour until check-in time despite the host being in the hostel. Disappointing. Terrible hostel I ever met. the Japanese lady is so mean when I check in. I had one arm hurt so bad but she insists me to fill out the form instead she could help me out. The hostel has no free breakfast which she mentioned the price is so cheap. well, other hostels are charging the same price but has good offer. however, every things will be charged to stay in this hostel.